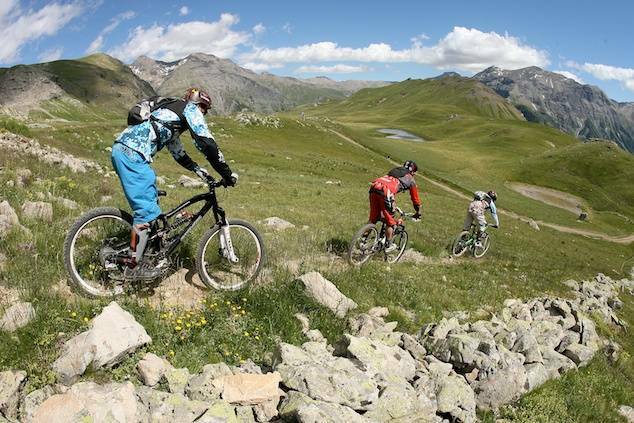 Explore the Southern French Alps' best downhill tracks using lifts and shuttles to get you to the top of the cols! 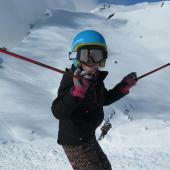 This holiday comes with additional outdoor activities for even more alpine fun! 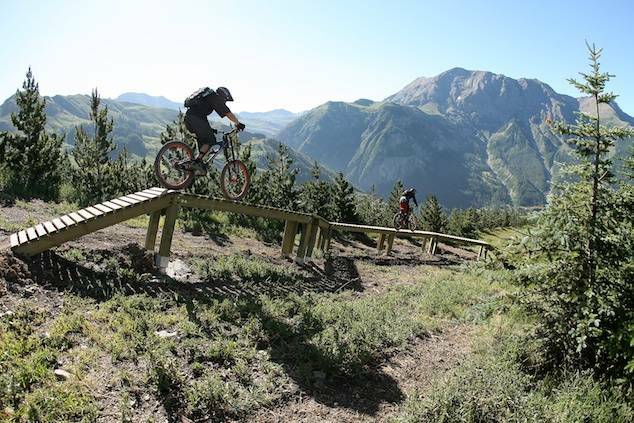 A superb week of downhill mountain biking using lifts and private shuttles up to mountain passes to access some of the best descents in the area. 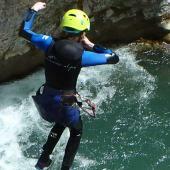 Self guided with personalised routes and tips. 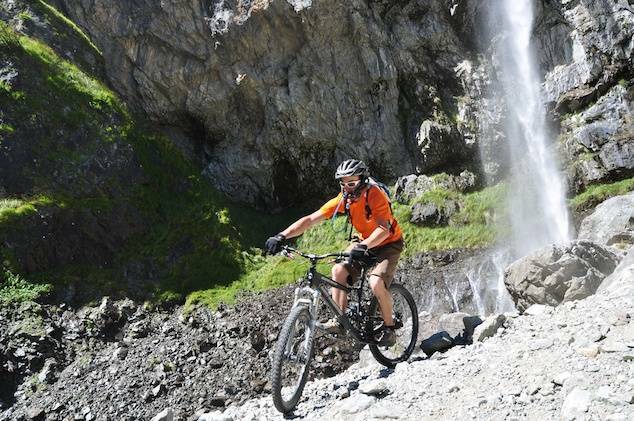 As we are multi activity holiday specialists, we have also included 5 activity points so you can add a little adventure to your week and give your biking muscles a bit of respite! 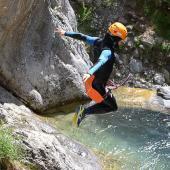 Refresh yourself in a mountain canyon, challenge your head for heights on a via ferrata or go for a gentle paddle along the lake... the choice is yours. Please have a look at the choice of activities by clicking the activity list button below. 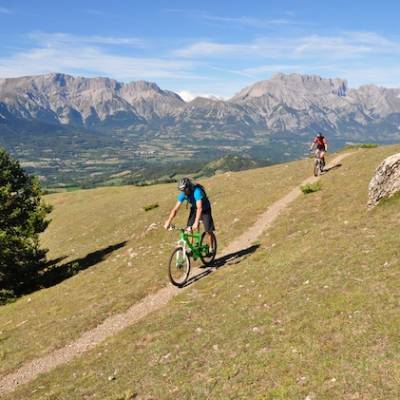 For mountain biking, the majority of the routes are on a mixture of single-tracks and mountain trails and although we will adapt the itinerary to suit you, it is recommended you have an intermediate to advanced level of mountain biking to really enjoy this week. 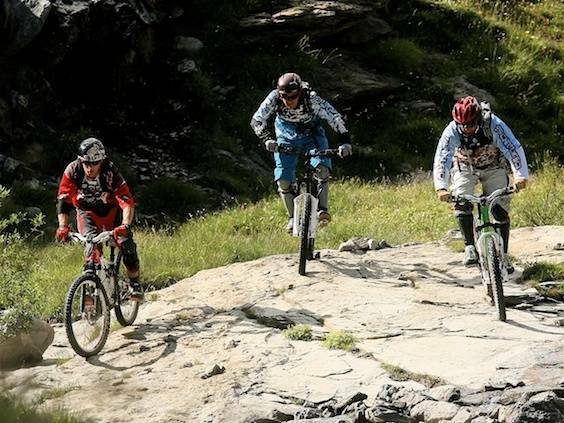 For two of the days you also have a lift pass for the downhill resort of Orcières where there is a bike park and a choice of graded downhill routes including one mega descent of 1800m. 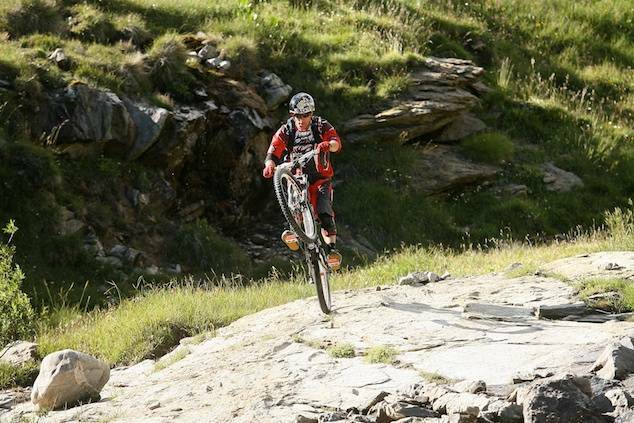 Here you can test your technical skills to the limit and experience one of the best descents in the Southern Alps. 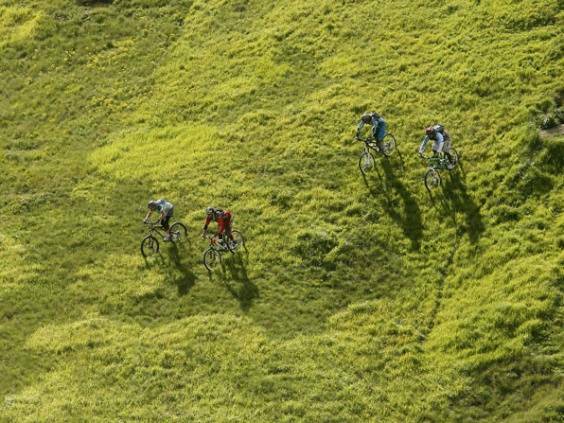 For the rest of your mountain biking days, you will explore some of the other lesser known downhill routes accessible only by private shuttle to the tops of mountain passes. 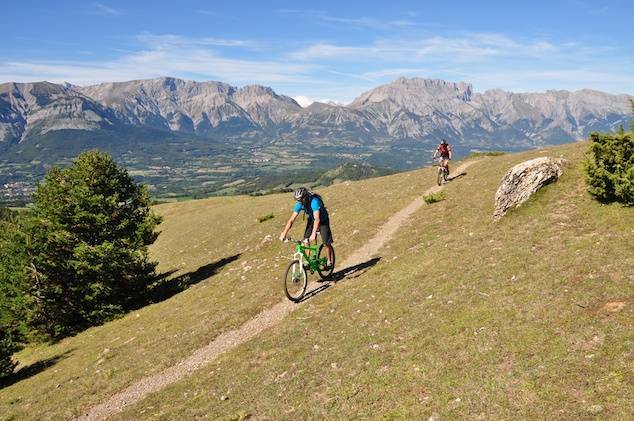 Although this is primarily a downhill mountain biking experience, there are some short ascents by bike required to really make the most of the area. Expect between 100 and 600m of ascent per day. You have 3 vehicle shuttles included in your week and we will advise you on the 'must-do' routes from the various drop off points which we will adapt to your level, preferences, and of course, the weather! 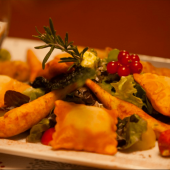 The example itinerary below describes some of the possibilities to give you an idea of how your week could be. For the vehicle shuttles, we will meet you at the end of your chosen ride where you can leave your car and take you up to the top so you can ride down at your own pace safe in the knowledge that your car is there waiting for you when you finish! This way there is no pressure to get there for a certain time so you can stop as much as you like or if you feel like going for it you can! 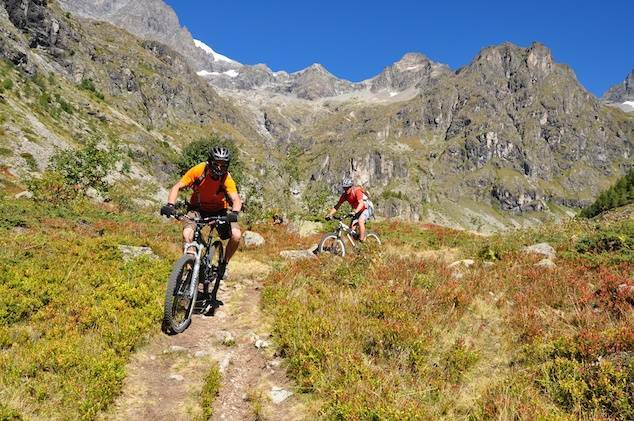 Surrounded by the dramatic scenery of the Ecrins Massif, your week will be spent exploring the stunning and varied mountain biking terrain of this unspoilt alpine region. 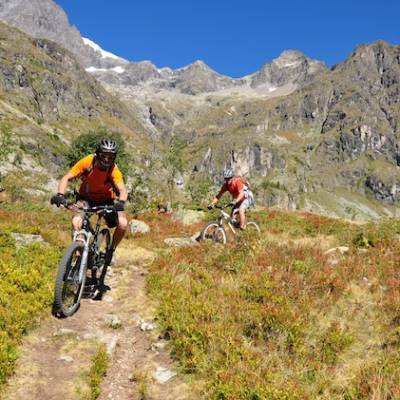 Discover lush alpine meadows, cool forests and attack long winding mountain descents. 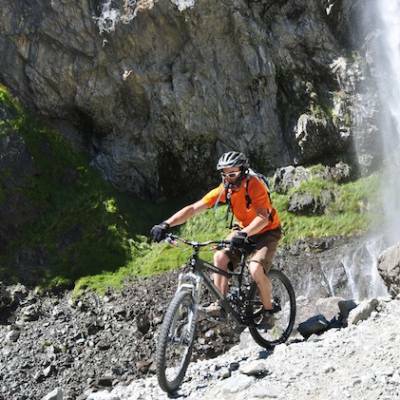 Have a look at our mountain biking kit list to help you pack. 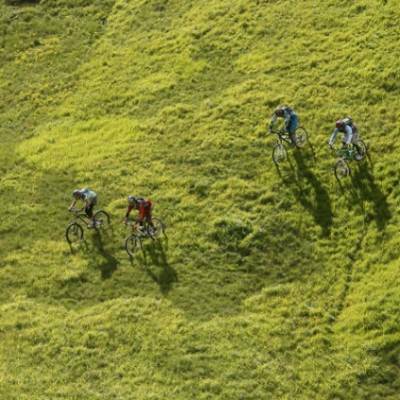 It is possible to add mountain bike hire if you aren't bringing your own! If you are planning on travelling with your own bikes for this trip, we recommend that you avoid flying. You will need to take your bike apart for the flight and then put it back together again and there is always the risk of losing it on the plane (especially if there are a few people with bikes on the same plane). This leaves, either driving down or getting the train. Driving down is straight forward and takes about 9 hrs non-stop from Calais so most people do it with an overnight stop. The big advantage of driving is that then you have your own car here for exploring, getting about and really optimising your time here. If you get the train, the nearest train station is Gap which has rail links from Marseille, Grenoble, Valence and Paris (including an overnight sleeper). We can help you organise your train journey here and have local timetables available if you need them. We recommend you hire a car whilst you are here to be able to get about to the other activities, get back to your accommodation from the ends of rides and for your spare time when not biking. You can hire a car either at a nearby airport or directly in Gap, the main city in our area. Check out our partner's hire car rates. However, it is also possible to arrange extra shuttles and taxis to activities and for free time if you prefer not to drive.